This scan is taken from a photocopy so the quality may not be the best. 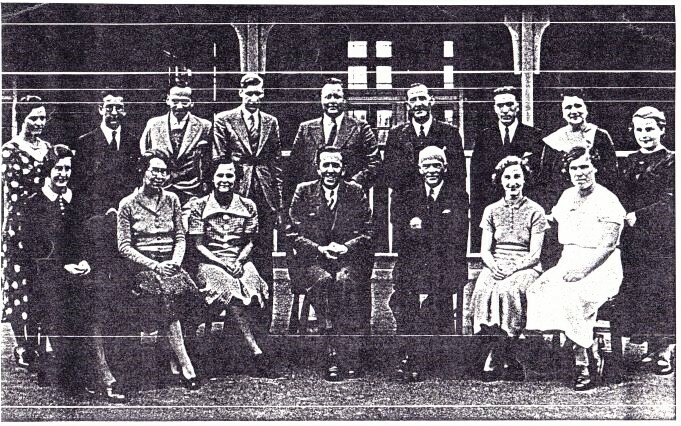 These were the teachers of the Wickford Senior School which opened in 1937. The names given for the back row are: May, Borke, Ross, Mazonowicz, Timson, Cooke, Evans, ?, Overton. Front Row: Nummelin, Mobbs, Northwood, Rose, James, Ashens, Weston. The photograph was originally provided by J. Mazonowicz (Rochford).